Reason for Nomination : one of my favourite monsters that can make you win the duel very easy with OTK . When you take damage from a card your opponent controls while you control no cards, you can Special Summon this card from your hand. Then activate the appropriate effect, based on the type of damage:* Battle Damage: Special Summon 1 "Emissary of Darkness Token" (Fairy-Type/LIGHT/Level 7/ATK ?/DEF ?). Its ATK and DEF are each equal to the amount of battle damage you took. * Effect Damage: Inflict damage to your opponent equal to the damage you took. Reason for Nomination: A very strong weapon in every fiend deck. It is very easy for you to summon it, and very hard for your opponent to get rid of it.. This card cannot be Normal Summoned or Set. 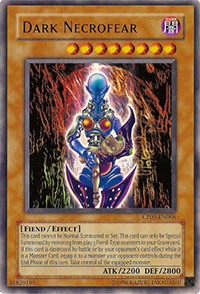 This card can only be Special Summoned by removing from play 3 Fiend-Type monsters in your Graveyard. If this card is destroyed by battle, or by your opponent's card effect while it is a Monster Card, equip it to a monster your opponent controls during the End Phase of this turn. Take control of the equipped monster. This card cannot be Special Summoned. This card can attack twice during each Battle Phase. During battle between this attacking card and a Defense Position monster whose DEF is lower than the ATK of this card, inflict the difference as Battle Damage to your opponent. Well it might seem like something weak but the tributes aren't a problem with mausoleum,double coston,brain control,soul exchange etc and its effect is pretty beast with the double attack and pierce...add some equip to this and harass your opponent well! 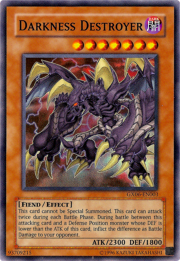 The ATK of this card becomes twice the original ATK of a monster that you Tributed for the Tribute Summon of this card. The reason is because it needs just one tribute and you can have a monster with more than 2000 atk points on the field!!! I like it especially if you combine it with other fiends!  Great I got 350 DP now!!!!!! Closed but thanks for voting my card !